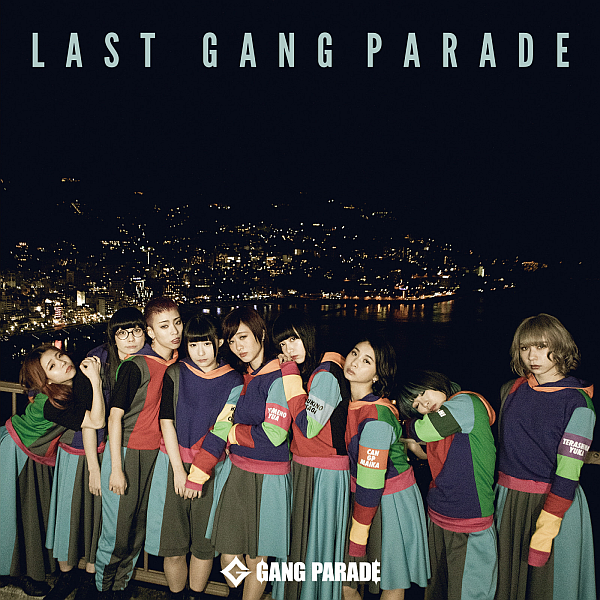 My thoughts on “LAST GANG PARADE”, the latest album from GANG PARADE. This week it’s finally time to put 2018 in the rear view mirror and start focusing on releases from 2019. You know how it goes, I’ve pretty much made it a habit of being late to the party so only now starting to talk about “new” releases shouldn’t be that unexpected. Granted there hasn’t been too much released in January, well not until the last week or so anyway but even if the weather is still cold outside at least the world if Idol has started to heat up a bit again. As you can see, I’m going to be reviewing GANG PARADE’s new album “LAST GANG PARADE” to kick things off for 2019. This might actually have been my most requested review ever, which either means it’s amazing and you want me to validate your opinion or…you just want me to rip into it because it’s terrible. Either way it’s nice to see people actually looking forward to my content for a change. It never hurts to let me know you’re looking forward to a review or if you enjoyed something you read on the site. Just saying. I’ll be honest, I haven’t been the biggest fan of GANG PARADE’s output over the past 12 months or so. Between their previous album and this one we’ve been treated to some pretty average but not terrible singles, not exactly in keeping with the “taking themselves higher” tagline from said previous album. Those singles are included here and the brief skim I’ve had of some of the new material…we’ll get into that in a second. On the whole, I’m lukewarm at best heading into this review but let’s give this album a couple of spins and see how I really feel shall we? The album leads off with “LAST”, one of several songs that have received a MV as a means of promoting it. Should be a pretty good representation of what to expect then right? Well, the song isn’t that bad I suppose but it’s sort of just continuing the theme of middle of the road GANG PARADE songs that we’ve been hearing for about a year now. Those out there with a keen ear will likely have noted the rather close similarities between the instrumental and structuring of the vocals and those that feature on the BiS favorite “primal.”. I’m not one to rag on Matsukuma Kenta like some do for his BiSH work, but in this case it’s pretty darn blatant. I guess at least the lyrics and the tempo are a bit different but it’s hard not to look at this song as being some fairly lazy composing. Once again, it’s by no means a bad song and there are worse songs to recycle than “Primal” but it’s hard to get past the similarities and as such you never quite get as excited about it as you otherwise might have. We’re only two tracks in and already a previous single makes an appearance. “GANG 2” was the second of GANG PARADE’s three singles released in 2018 and you can read my initial review of it here. This song is pretty good but GANG PARADE have a lot of pretty good songs, and even one that’s called that as it happens so it is struggling a bit to stand out in the group’s now fairly large back catalog. The instrumental is along similar lines as “Beyond the Mountain” or “FOUL” which definitely isn’t something I’ll complain about, especially given recent output. It doesn’t quite grab you as well as the aforementioned songs though, playing into my previous struggling to stand out assessment. Vocally we’re once again reminded that GANG PARADE have some heavy hitters in that department and when they’re allowed to do what they do best it really is some quality stuff. A bit of a safe song but given they just added some new members around this time it’s to be expected. Given GANG PARADE’s more experimental nature I suppose getting a song like “Message” from them shouldn’t come as that big of a surprise to me. That being said, I still didn’t really think we’d ever branch out into the domain of Chill Hop and whatever other genres you’d like to tack on here. Instrumentally I really enjoyed this song, it has a really smooth rhythm to it and yeah it’s pretty mellow and has a “soft” feeling to it as it enters the ear holes. A little bit of a City Pop vibe to the instrumentals helps to cut through that a bit, complimented by a consistent, almost reassuring drumbeat. On the vocal side of things I’m mostly okay with what they’ve done here. Everyone kinda gets their moment to shine which is cool and the tone and cadence of the delivery compliments the instrumental well. The chorus is also fairly catchy which doesn’t hurt either. Only complaint is they kind of exaggerate an accent here and there which I’m not that big a fan of. Other than that, I’m rather fond of this song. The whistling in the rain sounding opening to “HERETIC” was pretty cool and fairly different, definitely not something that you tend to hear every day in the Idol genre. Something else you don’t tend to hear is the style of vocal delivery that they chose for this song. I looked it up and apparently they are actually singing in Japanese which somewhat surprised me given the borderline ridiculousness of the accents involved. It really took me out of the song unfortunately and I say this as someone who doesn’t mind a bit of tomfoolery, especially when it comes to WACK groups. It’s a shame really as the instrumental on this song is really good and makes use of synthesizers in some interesting ways. If they’d maybe toned down the silly accents a bit or even just sung the song how they normally would have then I’d probably also be singing a different tune. You have this group full of great vocalists, which I don’t think anyone would disagree with, and you choose to do this with them? It’s a pass from me folks. We head back to more familiar territory for the album’s fifth track “BREAKING THE ROAD”. I’ve seen this listed as an “album version” in a couple of different places which makes sense given the group has added a couple of new faces (and also lost Aya) since the song was originally released as its own single in 2018. Not too much has really changed with the song, most people probably wouldn’t really notice unless they were really big GANG PARADE fans anyway. As I mentioned in my original review which you can read here this is a decent GANG PARADE song but they’re not really pushing the boat out. The vocals are without funny accents at least so that’s good and they show why a lot of people really rate them as singers. The instrumental really suffers from how Lo-Fi it sounds, in large part due to the muddy drumming but things also just sound a bit fuzzy and not in a good way either. Compared to the new material on this album so far this is a really good song but that’s not saying much. Anyone wishing to hark back to the Morning Musume sound of the early 2000s will likely find certain elements of “Jealousy Marionette” to be nostalgic and probably pretty enjoyable. The song is definitely going for a bit of a throwback feel with the instrumental, with a kind of synthesized accordion used throughout to provide the song with a Folksy accent. Things get ramped up a bit for the chorus with some more synth and a brass section being struck up which really gets the party started. The festivities continue for the remainder of the song making for a really fun listen if you can get down with this style of music. Vocally things are kept pretty simple and most importantly fitting given the theme of the song. No crazy accents involved but the throwback “Ooh Ahh Ha Ha Ha” chanting was kinda neat if you’ve been listening to this stuff long enough to remember when that kind of thing was really commonplace in songs. Easily the best song from the new material I’ve heard on this album so far and probably the best GANG PARADE song since they put out their last album, highly recommended. “Yoru Kurai Yume” is another track that is being used to promote this album and for better or worse it is a pretty decent representation of what is on offer. The instrumental has a very apparent “Oriental” feel to it, almost to the point of being rather stereotypical which doesn’t really sit well with me honestly. It fades out a bit as the song progresses and we end up getting more of that Chill Hop style that I guess is what GANG PARADE are all about lately for whatever reason. It would have been nice to hear them maybe do a bit more with it but I guess the simple, repetitive loop worked out okay. Speaking of simple and repetitive, that’s pretty much what a good bulk of the vocals on this song are too. There are a few moments where we get to hear individual member parts which were well delivered and showed off some personality but outside of that there isn’t too much to get excited about. I don’t really get this fascination with music from other Asian countries that GANG PARADE seem to have picked up, but I can’t say I’ve been finding much enjoyment in what I’ve been hearing. Well, if you thought that “Jealousy Marionette” had a pretty theatrical feel to it you haven’t heard anything yet. “Tadashii Kotae ga Mitsukaranakute” sounds what I’d imagine it would sound like if you took a Rock album and tried to make a stage play out of it. The instrumental feels like it should be on some kind of soundtrack or perhaps a sample of a soundtrack given how many times the tempo and mood changes in less than 4 minutes. There’s a lot going on, I think that’s more than fair to say, but I think they made it work fairly well and I thought the synthesized organ/grand piano/whatever really added something to the song and hammered home the dramatic element. There’s also a lot going on on the vocal side of things, with the song sounding almost like it’s being acted out at times given some of the deliveries. If GANG PARADE want to do silly voices then I think this is a better outlet for it, there’s also enough normal singing to remind you that this is still a GANG PARADE song. It’s different and I’m not sure I want it to be a regular occurrence but stuff like this is interesting to hear every so often. We’re back at it again with another previously released single and this time it’s “CAN’T STOP”. This was the most recent single to be released by GANG PARADE before they put out this album so it’s still kinda newish I guess. As ever, you can go read my initial impressions of the song here if you’d like to. Otherwise, I’d like to tell you that for the most part I enjoyed the fuzzy Indie Pop style instrumentation on this song, though the laser gun synthesizers for me were a tad much. Once again, not really a style of music I would associate with GANG PARADE right off the bat they made a good showing here. The vocals let the side down quite a bit unfortunately which is a bit annoying. I’m not sure why they went with a low tempo, energy deprived delivery but they did and I was left waiting for the song to go somewhere and it never did. The vocals are kinda trying to do the dramatic and emotive thing I guess but it’s not for me here. Not the worst song in the world and I’m sure it would grow on you the more you listened to it, but is that good enough for a single these days? I’m not so sure. We haven’t really had much of a Ballad style song up to this point so I guess it was about time for one. Though to be fair they did a pretty good job of wrapping “Bond” up in a fairly interesting instrumental to disguise that it is that type of song. It’s a very bright song, mainly due to the synthesizer which provides a lot of sparkly sounds and a noticeable element of Electronica. The drums are heavy on the bass which makes the song feel more substantial than it otherwise could have. Very different in tone from pretty much everything else on the album but I feel like I’ve said that a lot already anyway. They were few and far between but we did get another song that really shows off the vocal prowess of GANG PARADE here, although there were a few times where I thought they maybe went a bit too high pitched. Other than that though, we got some fairly clean vocals and there was even a nice or hook or two so actually a pretty decent song all in. One of the more enjoyable new songs on the album honestly. If you didn’t buy the physical version of “LAST GANG PARADE” then you likely aren’t aware of the existence of the secret 11th track “PALET”. I remember when this used to be all the rage in the early 2000s but I’m getting away from the point. This song is pretty much a tribute to GANG PARADE’s now former record label T-Palette Records as they move on to finally getting a major label deal with Warner Music Japan. This song is a Ballad and doesn’t even try to hide that, though there’s a good amount of guitar and drums in the instrumental so it’s not a totally sappy affair at least. There’s definitely a heavily sentimental vibe to the song though which makes sense given the circumstances. It was also nice to hear GANG PARADE perform a song that allows them to really focus on some lower vocal tones as I think that’s something they don’t really do enough and they’re really good at it as can be heard here. This isn’t really a song I’d go for of my own volition, but it’s definitely good and I like the idea behind it a lot. Shame most people probably won’t end up hearing it in this age of music streaming though. There were a couple of highlights for me on this album but outside of that I’m feeling pretty underwhelmed. I probably shouldn’t be because I knew all the singles would be on here but I figured the new songs would be better. A “primal.” rehash and more dumb accents aren’t what I’m looking for unfortunately and this new fascination with Oriental sounds and Chill Hop is definitely much less enjoyable than the contemporary sounds experimented with on “GANG PARADE takes themselves higher!!”. Just one man’s opinion though. GANG PARADE already have their major label debut single announced so we won’t have to wait too long to hear some new material from them. It will also likely be a pretty good indication of if they phoned in this album to fulfill a contractual obligation or not. I’m not into conspiracy theories but I’m just saying, look into it man. In any case, hopefully 2019 will be a bit stronger on the music front because I know GANG PARADE are capable of much more than what we’ve been hearing lately. [Review] Melon Batake a go go – IKASUZE IDOL 1.2.3! !